VA16831 Features: -Recommended for removing dirt, rust, scale, paint, or welds from flat surfaces. -High strength carbon steel wire provides long life. -Precision balanced cup virtually eliminates vibration. -Fits all popular mini grinders. 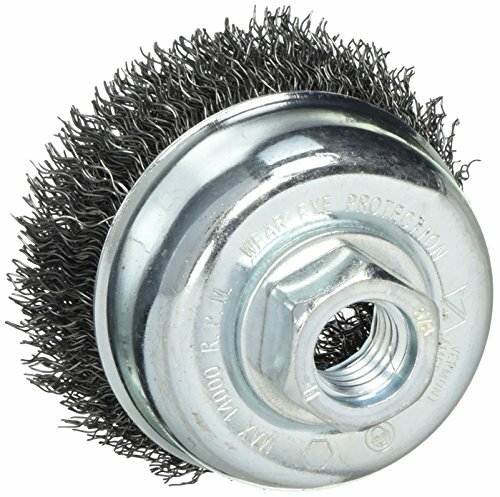 Product Type: -Wire Brush Abrasives. Generic Dimensions: -3'' diameter. Dimensions: Overall Product Weight: -0.61 Pounds.